Are you looking to start a food truck or food cart and you’re not quite sure how to begin? You’re probably great at frying falafel or stuffing sausage, but the business side of things isn’t your forte. 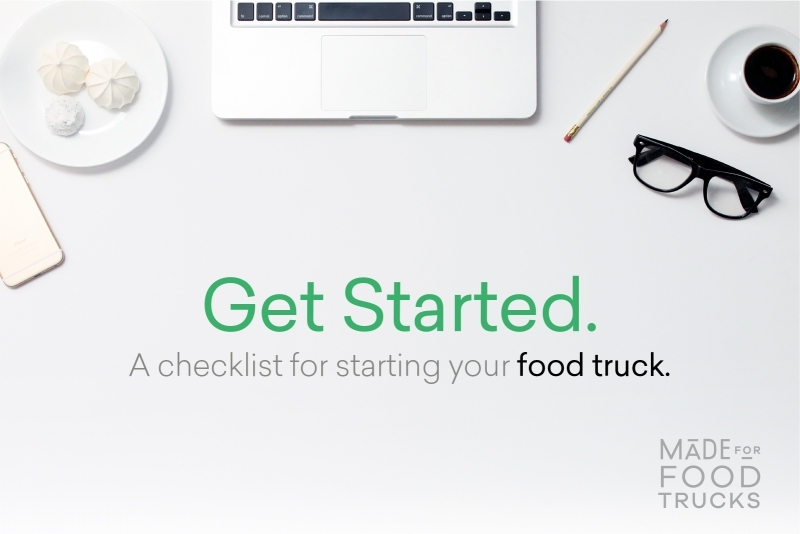 Have no fear food trucker, we’ve got a great getting started checklist for you with things you should consider when starting a food truck! Wouldn’t it be great if you could just load up your food truck, park it anywhere, and start serving your hungry public? Most cities have rules and regulations about how, when, and where a food truck can operate. Check with your local government to get the specifics for your area of operation. More often than not, you’ll need to get licensed with your city, certified by the health department, and approved for parking in specific locations. 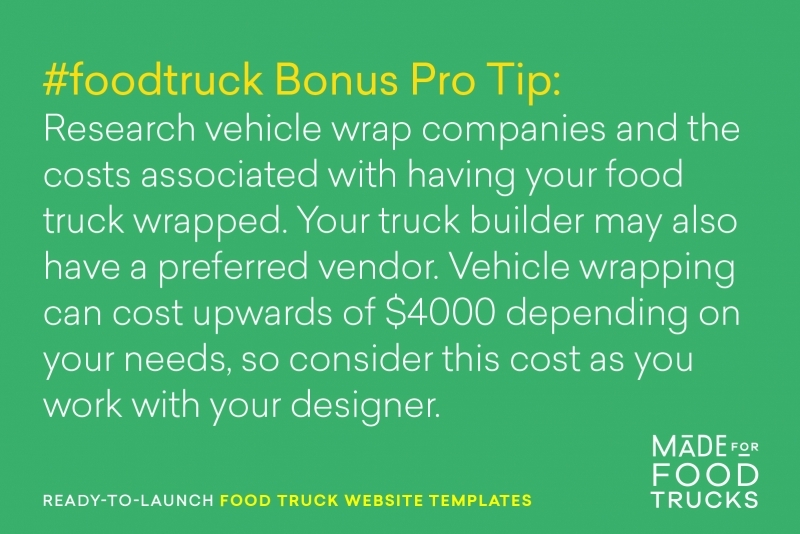 This step can be time consuming and add to your overall costs, but it’s a necessary hurdle to get your food truck on the road. While it’s always best to speak to a lawyer and accountant concerning the legalities of starting a food truck, you can get started now by looking into the differences between creating your business entity as a Corporation, S-Corp, or LLC. You most certainly want to go this route to protect your own personal assets from any issues that may arise with your business. Similarly, you’ll want to figure out exactly what kinds of insurance you need in your location to legally operate a food truck. Since you’re serving food, special health department certified insurances might be necessary before you begin feeding people. Follow the letter of the law and protect yourself from any unforeseen complications. Depending on your budget, you will need to figure out if you want to purchase a new or used food truck. Likewise, kitchen equipment can be expensive but can be purchased used from various restaurant liquidators. Once you crunch your own numbers and determine if you’re going new or used, you can begin planning the specifics. Don’t complicate things and don’t overbuy equipment. Make sure to figure out exactly what you need to serve your specific food. If you plan to prepare your food in the truck itself, you’re going to need more equipment than if you prepare in a commercial kitchen. Do your research and you will save yourself time and money in the long run. Spend some time researching the name of your truck or hire a professional if you’re having difficulty picking something out. Once you’ve got it , don’t hesitate to grab your website domain and associated social media accounts (Facebook, Twitter, Instagram). These are important steps in getting your branding in order. Consider the personality of your team and your food. Let that spill into your food truck’s branding and design concept. Hire a professional designer who can make your dream a reality, so you get it right the first time before you launch. Don’t cheap out on this step, as setting yourself apart from all the other food trucks can make the difference between success and failure. Your designer can help you hone in on the perfect name and will develop a strong and memorable visual identity that speaks to the food you are serving. Clear and unique visual branding will get your food truck to stand out in a crowded sea of competitors. Having your vehicle wrapped can cause a lot of unnecessary headaches if it’s not planned for properly in advance. Make sure your designer is communicating with the wrap company regarding expectations of timeline, process and template files for artwork. After determining your costs and drafting a financial and business plan, you can then figure out how you’re going to pay for it all. Starting a food truck can be expensive, but it certainly doesn’t have to be. For example, instead of having a web developer create a website from scratch, you can instead check out Made For Food Truck’s website builder for a much lower cost. Self-funding your business is definitely a possibility if you can bootstrap your food truck or food cart on the cheap. You could also utilize crowdfunding websites such as Kickstarter and Indiegogo if you’ve already built a social media presence. If your goal is to start a high-end food truck, getting a business loan from a bank is probably your best option. Banks will require you to have your business plan fully fleshed out, so make sure you’ve done your homework, consulted with an accountant and a lawyer, and gotten all of your permits, certifications, and insurance in order. Starting a food truck can cost as low as a few thousand dollars and go all the way up to six figures. Know exactly what you need before you start chasing funding. Marketing starts before your food truck is even on the road. Utilize the power of social media like Facebook and Instagram to start building an audience in your city before launch to grow the hype around your food truck. You may even consider starting a blog to document the build out of your food truck from start to finish, creating local buzz and ensuring a successful grand opening. In our new world of social media, everything about you and your food truck should be considered marketing. Design your food truck and branding around a consistent message. Keep messaging and visual branding congruent and connect with your customers. Happy customers will be your biggest advocates when it comes to getting the message out about your business down the line. Once you dive into starting a food truck business, you’ll discover many more specifics to your situation that warrant thought and research. But the reality is that this whole process is going to be a ton of fun. Starting a food truck will be a lot of hard work, but the payoff will be worth it when you see the smile on the faces of your satisfied customers.